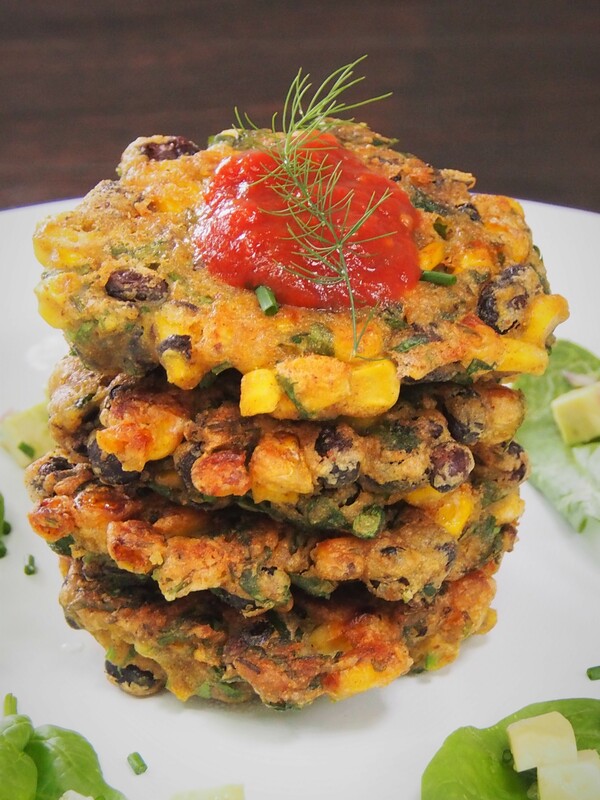 a stack of stax of corn fritters…yum! 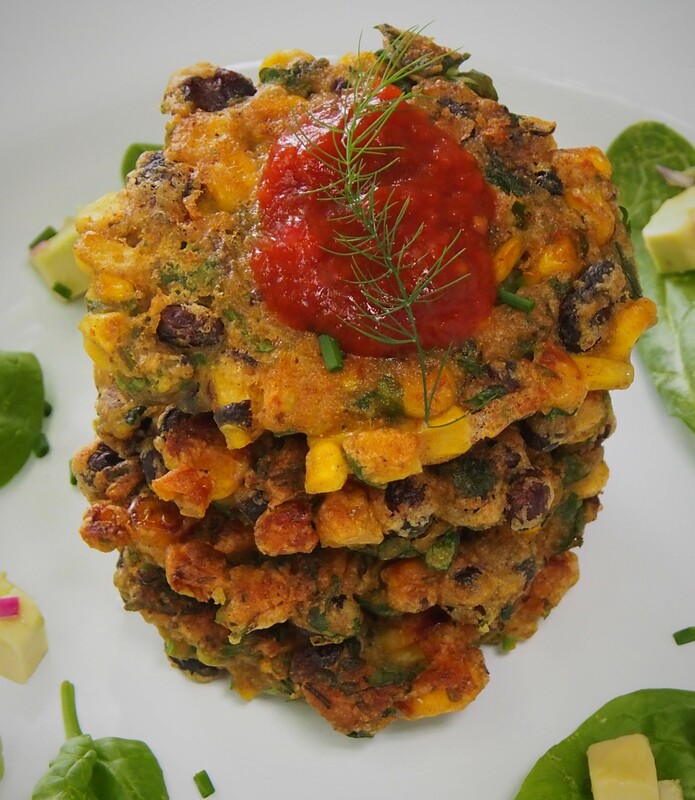 Hmmm…what to top these fritters with??? Any of these or my fully loaded guacamole? 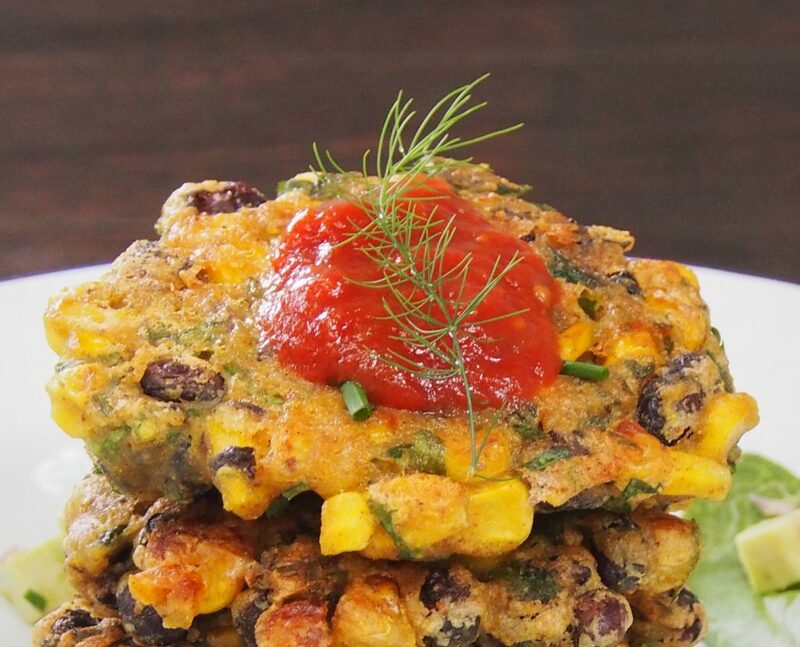 my corn fritters look almost restaurant worthy hey! 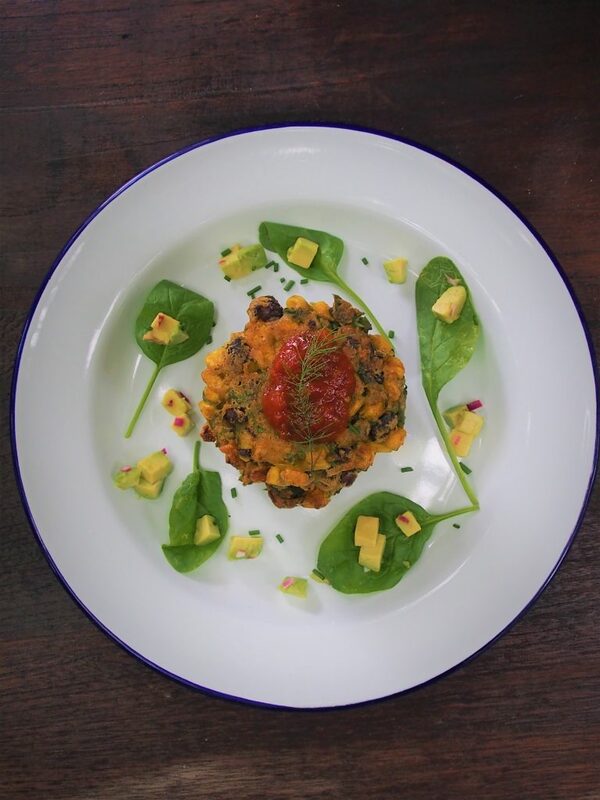 Place black beans, corn, coriander, salt, pepper, turmeric, baking powder and chickpea flour in a bowl. Mix together. 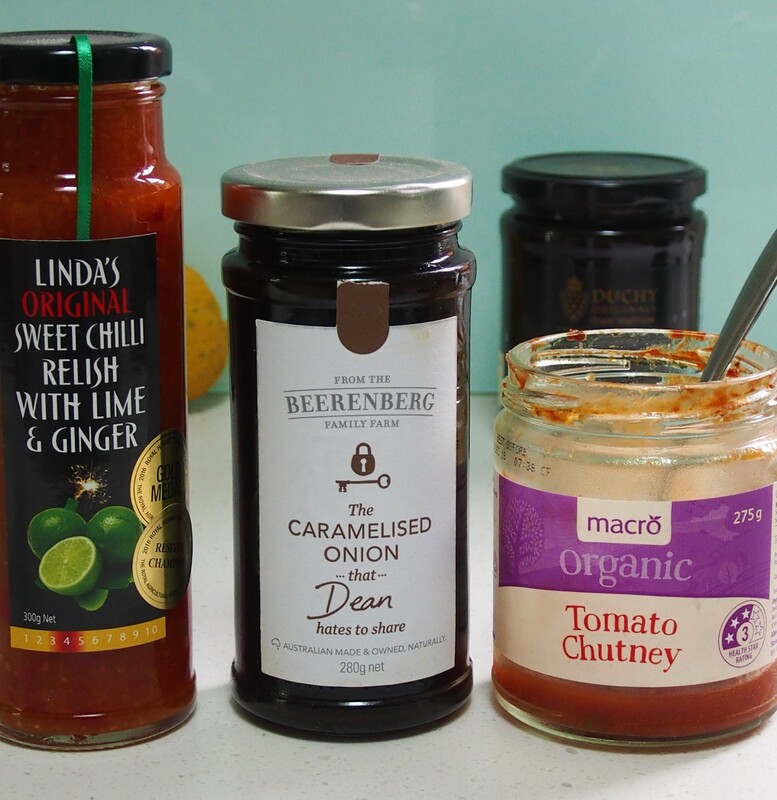 Add water and mix well together until all ingredients are combined. 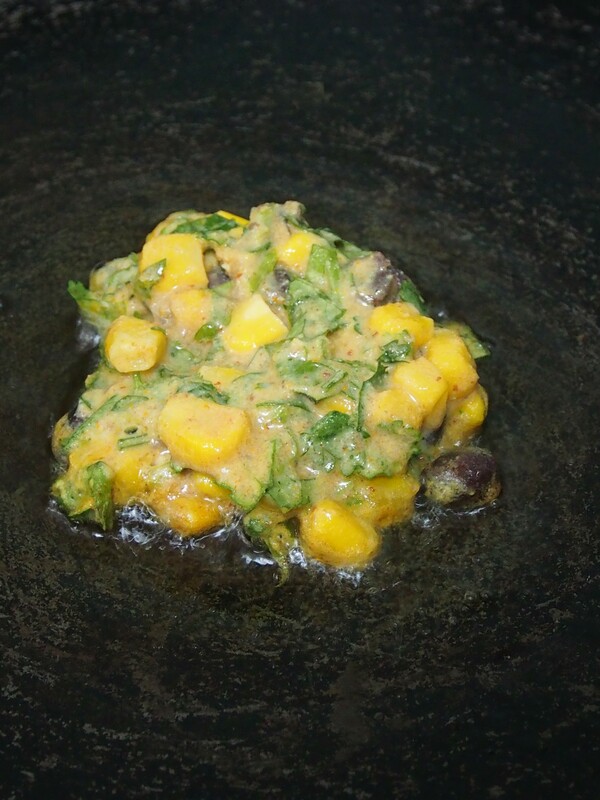 When hot, add oil and spoonfuls of mixture to make fritters. 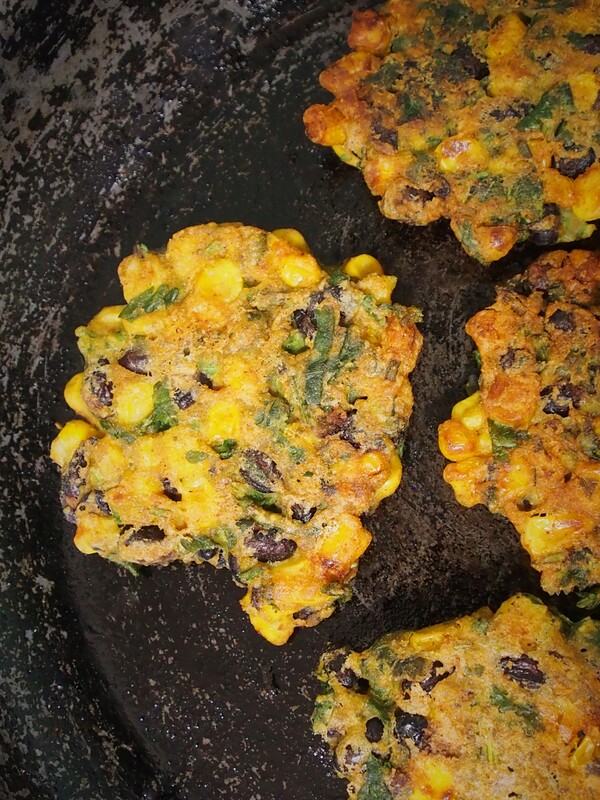 Cook fritters on each side for 2-3 minutes, until golden brown. Remove from pan and place on paper towel.